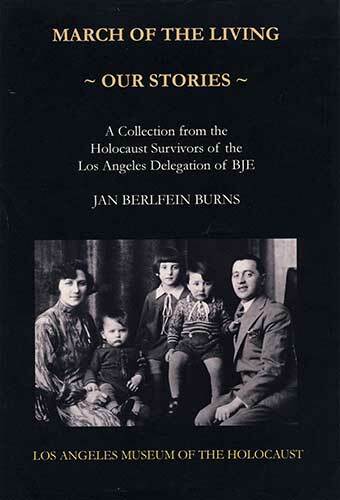 March of the Living ~ Our Stories is a collection of twelve stories from the wartime experiences of Holocaust survivors who lived through World War II in their childhood. The stories were written from personal interviews and recorded testimonies to preserve for future generations the legacies of these survivors. The book is further illustrated with treasured family photos and includes memorial pages honoring the memory of family members who died during World War II as a result of the Nazi genocide. Ms Burns is available for speaking engagements at Middle and High Schools, Synagogues, Churches and other suitable venues. Read excerpts from two different chapters that are a part of the collection of survivor stories from March of the Living ~ Our Stories.